I was a dopey teen for 7 full years. So was my Dad. (Don’t scoff. So was your Dad.) So was my Dad’s Dad’s Dad. It’s just that dopey teenagers look different depending upon the decade that they spend their teenage years in. Therefore unless you are the ‘hip guidance counsellor’ type who turns his chair backwards and ‘raps with the kids’ about life n stuff, your tolerance to the Bill and Ted films will depend primarily upon what you looked and acted like in your ‘dopey teenaged’ years. As it happens I was myself right in the midst of my teenage years when Bill and Ted indulged in their first most excellent adventure, and I was still clinging precariously to the last couple prior to my 20s when they embarked upon a more bogus journey. While no-one I knew actually talked the same type of awkward and moronic drivel as the titular gents in these films, nor did they dress alike in the same ‘got dressed in the dark’ style, myself and my friends talked our own brand of drivel and wore our own equally inappropriate attire. So while I didn’t see myself in Bill or Ted, I did identify with these two harmless dopes just trying to bludge their way through an entire decade, stirring only to indulge their meaningless whims and to hopefully see a boobie or two. Of course only a decade later I was in my mid 20s and working 9 to 5 (ish…). By this stage I already resented the very concept of slackers and those that were able to get away with such luxuries – ironic given I would swap places with 25 year old me in a heartbeat now. So already the ‘Dude where’s my car?’, ‘American Pie’, ‘Road Trip’ style crap only infuriated and disgusted me. This means I can most certainly see why two thirds of the population at the time detested every stilted line and loathed every vacant stare. I lapped it all up, and now some 20 years on I still see no harm in the misadventures of these IQ challenged individuals. A pair of going nowhere ‘teens’ meet a man from the future in a convenience store carpark. This man informs them that unless they get an A+ in their upcoming respective history reports – they are both failing dismally – that they will not only not become members of the greatest rock band in the world, but they will fail to bring unity the globe and indeed lead humanity toward a truly magnificent era. And teens today think they have pressure. 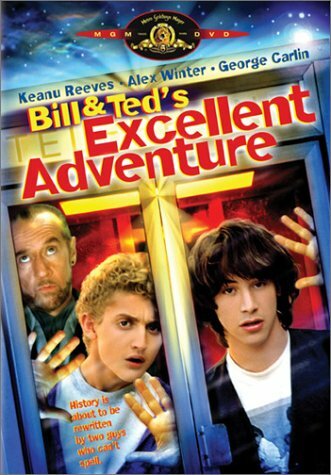 Out two ‘heroes’ are Bill S. Preston Esq (Alex Winter), and Ted Theodore Logan (Keanu Reeves). They jabber along like idiots, play guitar like rank amateurs and generally act in a way that would infuriate any parent in the 80s and 90s. But it’s all harmless stuff. There is no barrage of endless F bombs, no neck tattoos and definitely no vulgar or anatomically specific dialogue between them and top heavy females, just good old fashioned youthful unfocussed lust. The humour here comes in the form of the generally nonsensical and a total absence of logic. Bill and Ted obviously have high opinions of themselves despite a total lack of proof, but they cannot back up their bold proclamations regardless of how many verbose sounding phrases they mispronounce or sincere sounding sentences that they butcher. It is their ineptness and incapability that proves amusing here. Or not. So we have two high school goofs on their own Blues Brothers’ style ‘mission from God *ahem* Rufus (George Carlin), using a time travelling phone booth (remember those? The booth, not the time travel part) to traverse time periods and historical eras to meet such luminaries and the ‘Dollar Bill Guy’ (Abraham Lincoln) and ‘Mrs Joan of Arc’ – so that they might return to impart their version of how such historical immortals see present day (well 1980s) small town America. Bill and Ted’s Excellent Adventure is deliberately lightweight and unassuming, and was more than likely seen as a disposable training exercise by all involved. A step up for some up and coming actors – Keanu at least – and a low budget 80 minute CV stuffer for a young director Stephen Herek, who despite my never having heard of him has gone on to enjoy his own 20 something year career in film. Final Rating – 7 / 10. Because where else will you see Napoleon Bonaparte water-sliding and philosopher Socrates giggling at Sigmund Freud being called a ‘geek’? We meet Bill and Ted only a couple years removed from their high school shenanigans. They are now dating the princesses from Mid-Evil (sic) – note; ‘dating’, not ‘other’ – but in all other ways remain wholly unremarkable despite Rufus’ promises of future immortality. While Bill and Ted tread water in mediocrity, a fiendish future-villain named De Nomolos (the ‘Diplomatic Immunity’ guy from Lethal Weapon 2) has a plan to subvert fate at a crucial point in time as the duo are about to ‘make a difference’. The ‘big plan’ involves sending identical robot versions of Bill and Ted through time to kill the originals, step into their ragged skate-shoes and do everything required to make certain that their intended fate does not come to pass. Unfortunately De Nomolos made two critical oversights when coming up with his master plan. The first was making evil robot duplicates that were just as stupid and idiotic as their human counterparts, the second was ignoring the non-evil Bill and Ted’s skills at Twister. The scenes in which Bill and Ted battle with the Grim Reaper to have their souls released from their own private hells is a classic – I don’t care what anyone else says about it – and the future’s preeminent mind from outer space named ‘Station’ is also a cool idea. In fact this is a film full of ideas that build upon and enhance those from the original. It also benefits from having a bigger budget and the knowledge that it had the license to veer in any direction it so chose regardless of how silly or fanciful it may appear. 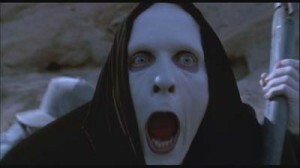 William Sadler is especially meritorious as the hapless Reaper, who having been defeated much chaperone Bill and Ted around to help them restore themselves to Earth in time to continue on their timelines. It might be hard to understand why I am not only lauding the sequel to a low budget comedy that is seen as the punchline to a million jokes, but labelling it as almost great. 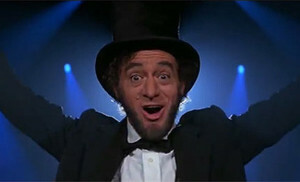 But for mine Bill and Ted’s Bogus Journey is always likable, constantly amusing and frequently hilarious. That sounds pretty great to me. Final Rating – 8 / 10. Bolder, bigger, yes brainier and far more bodacious than bogus. A rare and especially unlikely sequel that trumps the original in every facet. To paraphrase the ‘You had to be there’ crowd, I can see why people either don’t get or don’t want to get the Bill and Ted movies, but I try not to allow what is deemed to be the ‘public consensus’ to dictate what I do and don’t like. 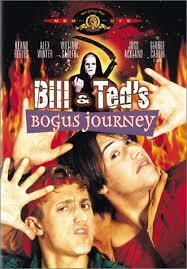 I like both Bill and Ted movies, but I love their bogus journey. 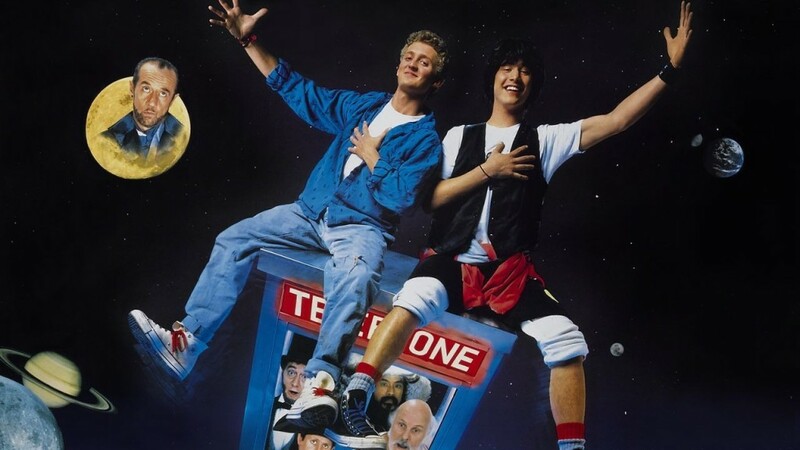 There was a rumour – still is – that both Keanu and Alex Winter would return for another sequel some quarter century after the original was released (I mean what else would Alex Winter be doing anyway?). I checked Winter’s imdb page – because it is shorter – and no mention exists right now. Given that Reeves and Winter both turn 50 in the coming year it would seem unlikely that they would return as heavily made up teenagers. By the God’s of Blues Brothers 2000 I sincerely hope that they leave well enough alone and allow these two films to stand alone as unlikely and unexpectedly entertaining mementos of another time.